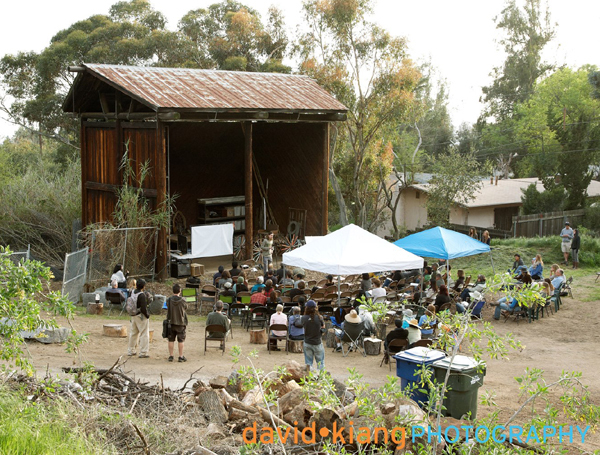 Last weekend I attended the Urban Ecology Extravaganza right here in little ol’ Altadena, CA. I have lived in Altadena since 2004 and not too much happens here (which is a good thing, mostly) but over the last six months Altadena has established a certified organic & local Farmers’ Market on Wednesdays 3pm-7pm and a new 23-acre Institute of Urban Ecology and I say – way to go Altadena! If you aren’t sure where Altadena is, we are 14 miles northeast of downtown Los Angeles snuggled up against the San Gabriel Mountains and the Angeles National Forest. I like to say that Altadena sits just above the smog (er, inversion layer) at about 1,500′. It is a hikers and bikers paradise with dozens of trailheads into the San Gabriels and a handful of waterfalls within easy to moderate hikes. It is often much hotter, much colder and much wetter here than the rest of Los Angeles – I’m not sure how that happens, but it does. We have actual weather in Altadena – it snowed on our driveway last year. Go figure. 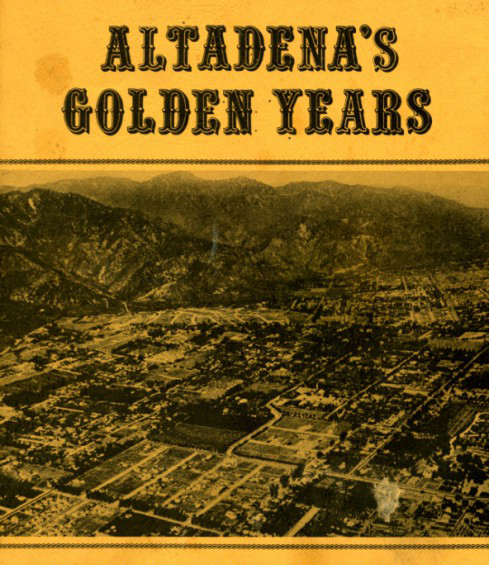 “Altadena’s Golden Years: A Pictorial History of the Early Community” by Robert H. Peterson. I didn’t plan on this post being a travelogue for this little unincorporated city but…I am pretty darn proud of some of the environmental and educational commitments that our community has made. Altadena was one of the first cities in California to ban plastic bags last July. And one of the unique things about our Farmers’ Market is that many of the vendors are urban farmers – that’s right, they grow food right in their own backyards. Imagine that! As the market’s Facebook profile states, the “market firmly establishes Altadena as the epicenter of the burgeoning urban food movement”. If we weren’t going on expedition this year, we’d be planting a little extra ourselves to sell at the Farmers Market. The new Institute of Urban Ecology, co-founded by Rishi Kumar and Carter Wallace, seems to be off to a great start as well. 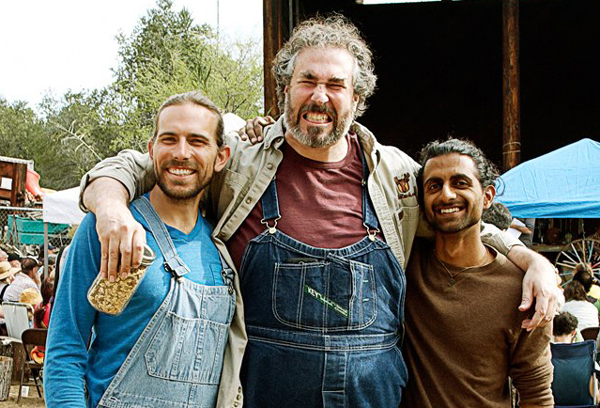 Their extravaganza last weekend included two talks by the self-proclaimed Montana bad-boy of permaculture, Paul Wheaton, and talks by La Loma Development’s permaculture designer Marco Barrantes and Darren Butler of www.ecoworkshops.com. Lunch was included and cheerfully supplied by Oh Happy Days Healthfood Cafe & Market in Altadena (626-797-0383 – they’re old skool healthy). The 23-acre working/training site of the institute is at the very top of Fair Oaks Drive and they hold open work days most Saturdays – but check their website for schedule. Carter Wallace, Paul Wheaton and Rishi Kumar. You know, with there being so much rotten news about GMOs and Monsanto and the profitable but generally lousy methods of food production in the US, it’s good to know that there REALLY ARE good and conscientious people out there working to grow clean and healthy food and sharing their knowledge about HOW to make effective and sustainable changes to our lifestyles. Keep up the good work, Altadena. And that’s what we call being on the Good Foot!